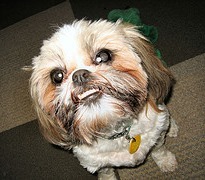 Shih Tzu teeth need good dental hygiene not only to protect the teeth, but for your dog’s overall health. 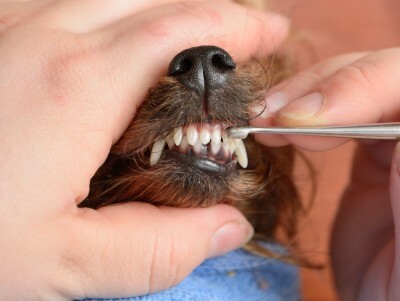 Poor dental hygiene cannot only affect your dog’s teeth and mouth, but it can also extend to your dog’s vital organs. The American Veterinary Dental Society reports that 80 percent of dogs show signs of oral disease by age three. If left alone, you will likely see some damage to your Shih Tzu's teeth before they turn 3. Dental disease affects the whole body, too. Bacteria from these inflamed oral areas can enter the bloodstream and affect major body organs. The liver, kidneys, heart, and lungs are most commonly affected. Antibiotics are used prior to and after a dental cleaning to prevent bacterial spread through the blood stream. Some breeds are more prone to dental problems than others. Naturally a lot has to do with the dental care they've received from puppyhood. Shih Tzu dogs do seem to have their fair share of plaque and tarter build up. There is a difference between plaque and tarter. Plaque starts first and is that gummy film that forms on the teeth after a meal. It mixes with the bacteria in the mouth along with saliva and blood cells. After about 24 hours, it combines with the salts in the saliva and begins to harden. Eventually, it continues to accumulate and mix with the salts and turns into tarter. Tarter, on the other hand, tarter occurs when plaque hardens and firmly sticks to the tooth, eventually wearing down the tissue around the tooth. Tarter is a problem for a couple of reasons. The tarter sticks to the tooth providing a rough surface where bacteria can grow. The bacteria leads to inflammation of the gums which may result in bleeding. The swollen, red gums called gingivitis eventually leads to periodontal disease. Tarter builds up near the gum, pushing the gums away from the roots of the tooth. As it continues, it can cause pain. The bacteria on the tarter does not remain confined to the mouth. It can be absorbed into the blood stream and travel to vital organs including the heart and the kidneys. Like us, dogs get two sets of teeth in their lives 28 baby or deciduous and 42 permanent or adult teeth. The first 28 baby teeth erupt through the gums between the ages of 3 and 6 weeks of age and feel like tiny sharp needles if they bite down onto your skin. First the incisors appear around 3 weeks, then the canines and premolars. The last premolar to come in occurs around 8 to 12 weeks old. Puppies do not have to grind much food, so they do not have molars. Puppy teeth begin to shed and be replaced by permanent adult teeth at about four months of age. Don’t worry if you don’t see these teeth, because the puppy often swallows them. By the time a puppy is around 6 to 8 months old; their adult teeth erupt with the molars coming in last. Beginning around the age of 5 or 6 weeks, the puppy goes through a difficult teething stage where anything is fair game, especially human fingers. 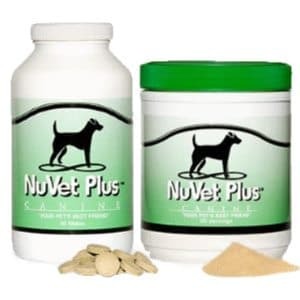 They will chew on anything to relieve the discomfort and sometimes they even drool or lose their appetite. Sometimes a Shih Tzu puppy will not loose all of their deciduous teeth before the permanent teeth erupt. This is a common occurrence in the Shih Tzu breed. The baby teeth will eventually need to be removed by the veterinarian. Normally a vet will check the puppy's teeth prior to a spay or neuter operation and remove them while the dog is under anesthesia. If you do not plan to spay or neuter your dog, you will want to make an appointment for a veterinary consultation. The vet may suggest that the baby tooth be removed. If you hear someone referring to the bite, they are referring to the way the teeth fit together when the upper and lower jaws close. A “scissor bite” occurs when the upper incisors just slightly overlap and touch the lower incisors. A “level bite” occurs when the incisors meet edge to edge. Overshot and undershot jaws are two common bite problems. An overshot jaw is one in which the upper jaw is longer than the lower, causing the teeth to overlap and not touch. An undershot jaw is on in which the bottom jaw is longer than the upper jaw. Although this is generally a problem, it is the standard for the Shih Tzu breed and most other brachycephalic breeds. However, in the standard, the Shih Tzu should not have a tongue showing when the mouth is closed.The picture to the left represents a example of a good bite. What About the Shih Tzu Teeth Bite? 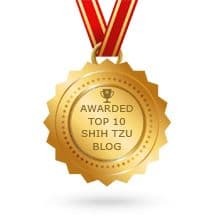 According to the Standard, the Shih Tzu bite should be slightly undershot. An overshot bite is considered to be a fault. Shih Tzu Teeth should not show when mouth is closed. 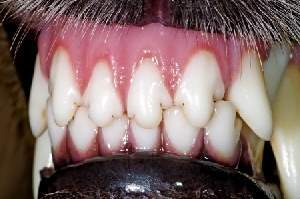 There is no set age when any of these problems can occur in Shih Tzu teeth. Sometimes bad breath is the first thing we take note of and it is almost always a sign that something is wrong with the teeth. 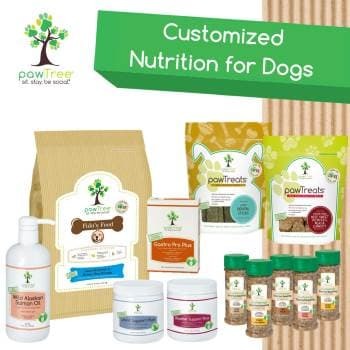 Do you have a puppy that is less than one year old? Please check out our page on Puppy Dental Care for more information specific to puppies. You can start caring for your puppy's teeth as soon as they come home. Puppies, however, must be trained to allow you to examine their mouth and brush their teeth. It is a slow process, but if done gently, you will end up with an adult Shih Tzu that doesn't mind having his teeth cleaned. A dog will swallow a lot of toothpaste while you brush so it is important to use toothpaste designed for dogs. The canine toothpaste is usually acceptable to dogs because it comes in flavors that dogs prefer such as beef, chicken, liver and even mint. If you prefer, you can use baking soda, but dogs may not take to it as easily as commercially prepared canine toothpaste. A regular dog toothbrush can be used or a rubber finger brush that fits over your index finger and has soft knobs that break apart tarter as you rub your finger around the dog’s mouth. A dog toothbrush is smaller than a human has and has softer bristles. You can also use a piece of gauze that you wrap around your finger or a dental wipe purchased for that purpose. Dental rinses are also available, but they rarely remove all the plaque. You will need a good canine tooth brush and a canine toothpaste. Beyond that, you might be interested in a dental spray. The one pictured to the left is for adult dog teeth. This kit includes the tooth brush, tooth paste, and a finger brush. Again, if your dog does not like the toothbrush, you can still take care of his dental hygiene needs. Some owners opt to scrap or scale their dog’s teeth themselves. If the dog is cooperative, this is a sure way to prevent disease and keep their pearly whites in great shape. You can use a human plaque scraper that is available in any store with a dental health section or you can purchase one designed for dogs. If you decide to do this yourself, have gauze or paper towels handy. As you scrape the tooth, catch any loose flakes of tarter from the scraper and the dog’s mouth. Do not allow your dog to swallow any loose tarter. If your dog protests this procedure, it is best to leave it to your vet. Dental plaque removers can be very sharp and a sudden jerk from an unhappy dog is likely to cut into the gums causing pain and even more resistance the next time you try to brush their teeth. Joy Pet 6-1/2-Inch Double Headed Tarter Remover/Scraper, Stainless PetEdge Stainless Steel Dental Pet Double-Ended Twin Scaler with Curved Spade-Shaped End Nylabone Advanced Oral Liquid Tartar Remover Dog Health Supplies, 32fl.oz. 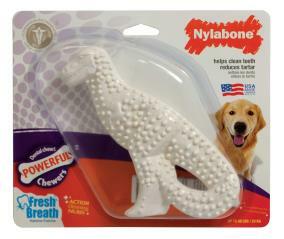 To help control your dog’s bad breath, you can also offer them chew toys, such as the Nylabone Dental Dinosaur Chew, that massage their teeth and gums, removing sticky tartar and plaque. Many dental toys are made of natural rope fibers that act as floss, while other enticing dental toys offer a variety of interesting textures, with ridges and grooves for the dogs to work on while his teeth are maintaining their natural white glow. I find that puppies enjoy these toys especially those that enjoy a gentle game of tug of war. I always let the puppy win and never jerk on the toy as this could cause some dental problems. 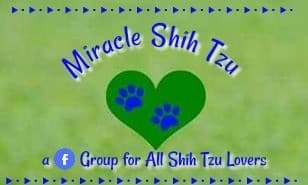 You can purchase this directly through Amazon and buying from the Miracle Shih Tzu Website helps us to keep this site up and running. 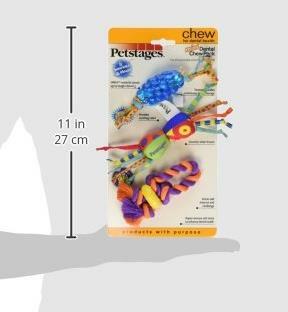 Chew bones especially designed edible dental chews also reduces tarter and helps freshen breath. They generally come with no preservatives and are gluten-free to help with digestion. Greenies are my favorite (pictured to the left) but there are other good ones on the market as well. Finally, you can check with your veterinarian for food recommendations that assist with tarter control. While dental care is not likely to be on your bucket list of fun activities with dogs, your diligence will pay off and potentially lengthen the lifespan of your dog, prevent unnecessary visits to the veterinarian, keep your dog's canine teeth clean and mouth smelling fresh, and help your dog live a long happy life. If you notice any of these problems in your dog's teeth, it is very important to call and schedule a consultation with your veterinarian. If your dog has tarter on his teeth and showing signs of disease, he may need a professional cleaning in the veterinarian’s office. Cleaning at a clinic is similar to that which we receive when we visit a dental hygienist to have our teeth cleaned with one major exception. Dogs cannot talk and tell the veterinarian where it hurts, and they cannot sit in a chair willingly with their mouth open, canine patients must be anesthetized for the veterinarian to get a good look and do a proper job.